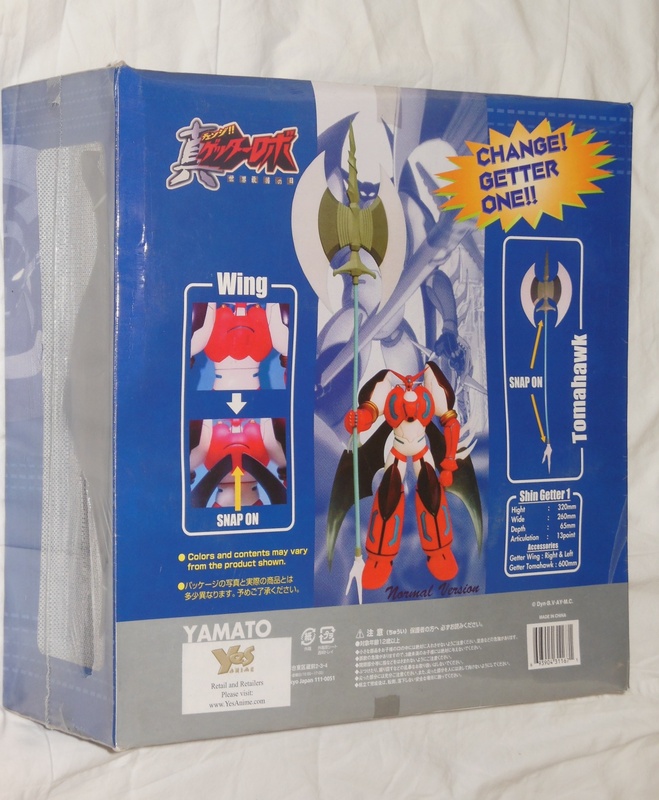 So I bought the Yamato Shin Getter Robo Repaint in San Francisco in the early 2000’s. I am thinking 2004 since the anime for Getter Robo: Armageddon/Shin Getter Robo came out then. I don’t see much info on it out there, so I don’t know when it came out. I may need to run a search in Japanese to find out more. You can’t tell by looking at it, but it is a big piece. I like to think of it as a Mini Machinder as it is a big vinyl Japanese robot. If you check out the back image of the box you can see it comes with a humongous axe! The pole on the axe is like 15 inches long and with the Tomahawk blade it is 20 which is awesome. The robot runs about 12 inches tall. 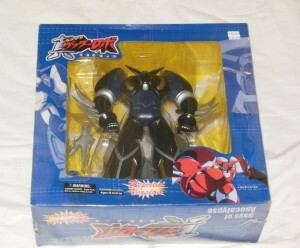 Shin Getter 1 Robo is a pretty nice looking robot and the wings are really a nice touch. I almost think they are there to help Shin Getter stand. The wings remind me of an dragon, the wings on Great Mazinga or Mazinkaiser. It’s a good looking revamp of the old anime robots from Getter Robo. I like the deep blue color, more than the red one you usually see on this robot. I will have to check the anime on it as I was a fan of the old anime. I am afraid I only bought this because it was cheap($29.99! ), but the anime sounds interesting as it supposedly goes in a more serious, darker path than the original anime. 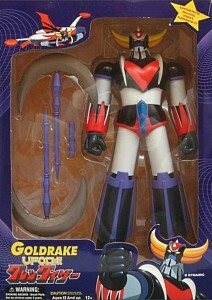 This robot was made by Yamato/Toycom. 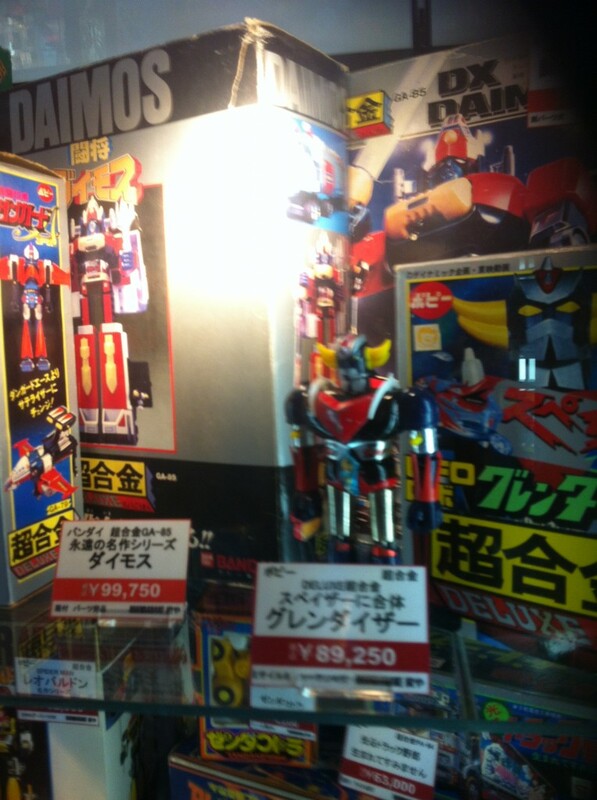 I don’t have many robots by Yamato. I think I only have two. It’s hard to tell when the writing is all in Japanese. Oddly enough, I never opened this one. 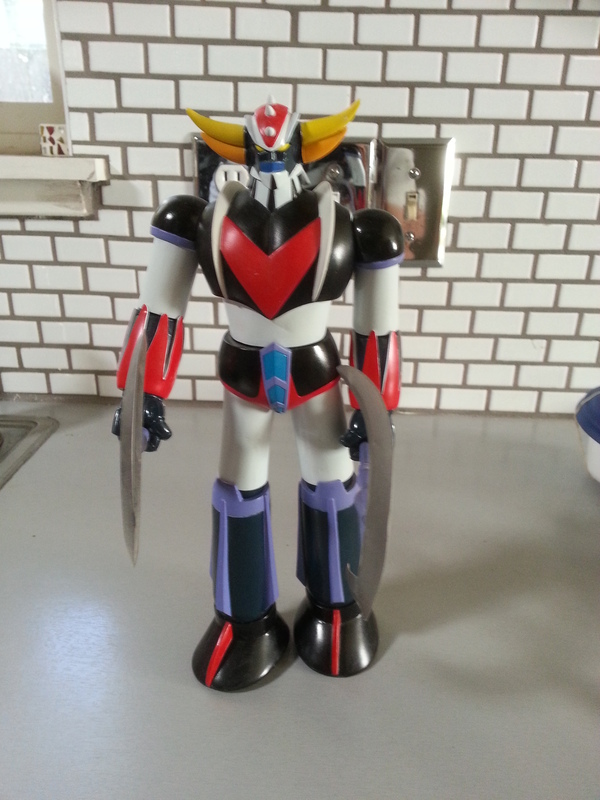 Here’s a vinyl 12″ Yamato UFO Robo Grandizer that I borrowed from my cousin. 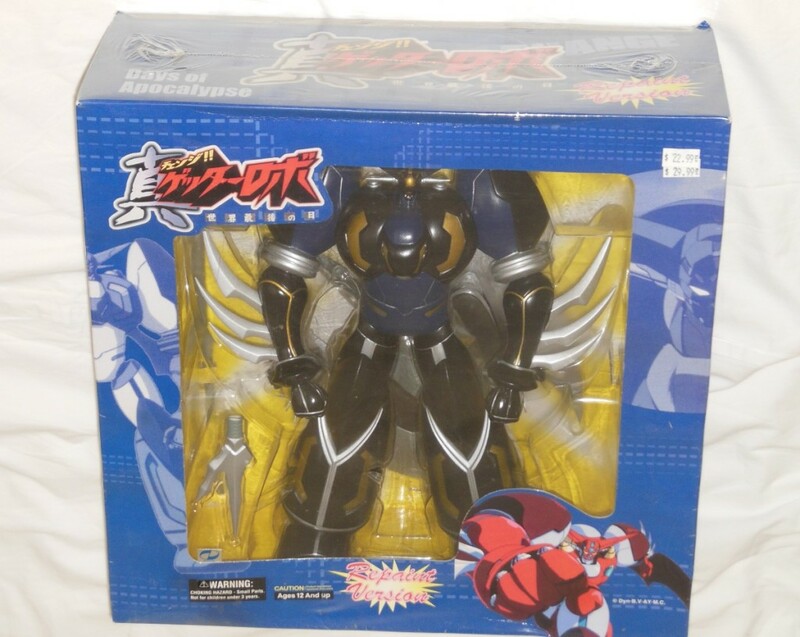 I was curious to see how much he might be and found the ST version of him in Japan for “only” 900 dollars. I believe they have made a Soul of Chogokin version and that might be a worthwhile option since the vintage version is out of my price range.